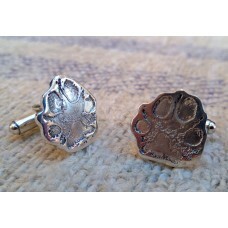 Our Little Paw Print Cufflinks are made using your cat or dog's actual paw print! 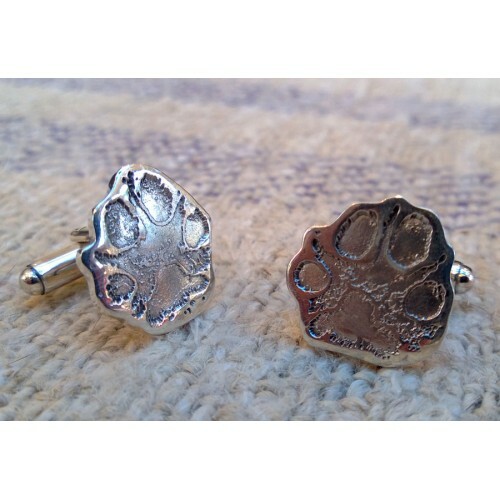 Handmade to order in solid sterling silver, your pet's paw print is reduced in size and then captured in silver and then we shape the cufflink around your pet's print so each one is unique. You can even have prints from two pets so you can wear both together! 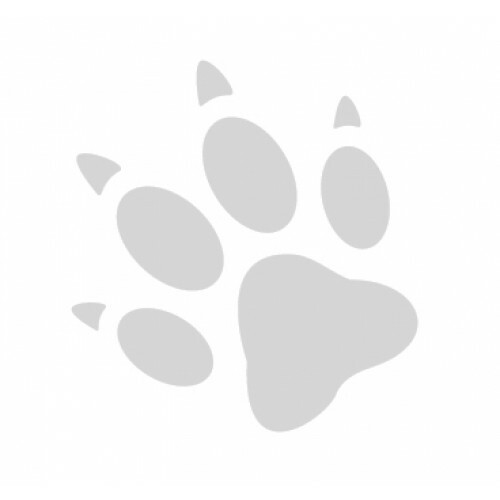 The Little Paw-Print Cufflinks are approx. 20mm wide, there isn't enough space to inscribe whole names on the back but we will add your pet's first initial.